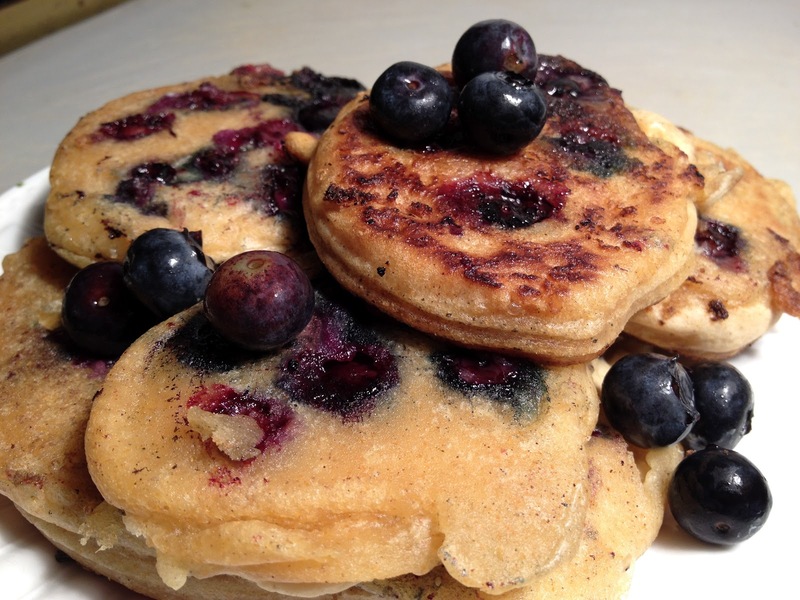 “Pancakes”… a word far from my new healthy style vocabulary. It’s quite tempting to hear multigrain pancakes which avoids the no white flour rule but then as I almost forget- pancakes are so not vegan because of the eggs, milk and BUTTER! Even if you make pancakes gluten-free and vegan.. I’d have to say they taste great but they are not the healthiest of foods. That being said… they were a hit with the kids. I chose Bob’s Red Mill Gluten-Free Pancake Mix. Some of the ingredients listed include: potato starch, sorghum flour, tapioca flour and corn flour. I used the entire package with about 1 1/2 cups of almond milk and 2 heaping tablespoons of Earth Balance buttery spread. (Feel free to follow the package for exact directions). I really just skipped the egg and any possible egg replacements- I did add a couple of teaspoons of baking powder. We pulled out an extra large frying pan and added more Earth Balance buttery spread- (note to self… buy vegan oil sprays). It seemed to work just fine.. putting the mix in the pan, inserting the farm fresh blueberries and then flipping the pancakes! It was my first time and they came out great! I think they even tasted a bit better than they look here. Why have I never made pancakes before.. strange isn’t it? I was more of a french toast kinda girl so I guess now I’ll have that as a challenge after I get my vegan oil spray and figure out a good egg replacer!